Poachers across Africa killed more than 24,000 elephants and 1,300 rhinos in 2015 alone—but animals are not the only victims of the illegal wildlife trade. An estimated 1,000 rangers have been killed in the line of duty over the past decade, and that figure will likely grow: 82 percent of the 570 rangers the World Wildlife Fund recently surveyed in 12 African countries said that they have faced life-threatening circumstances. The so-called war on poaching also takes a psychological toll—one that experts are only beginning to recognize. Susanna Fincham, a clinical psychologist in Sabie, South Africa, is one of the first to investigate the mental health issues plaguing rangers—and to devise ways of treating them. 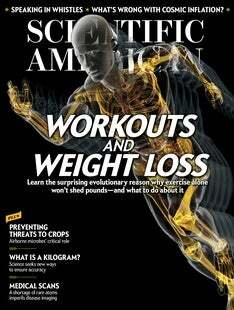 She recently spoke with Scientific American about the particular challenges she sees. Edited excerpts follow. SCIENTIFIC AMERICAN: Why are rangers especially prone to developing anxiety, depression and post-traumatic stress disorder? Susanna Fincham: Rangers are trained to conserve wildlife, and in the past firearm use was limited to controlling trouble animals. But starting around 2006, poaching began escalating to the point that rangers now must aim their firearms at other humans. In Kruger National Park—one of the places where I work—there are daily insurgencies by poaching cartels that are structured, organized and well equipped. It's a case of guerilla warfare, and danger is extremely high. As a result, rangers are exposed to a great deal of trauma. How do you mitigate those issues? I use counseling techniques to try to help rangers avoid becoming victims of PTSD. This entails careful clinical assessment of their emotional state. One step is psychoeducation, or the impartment of knowledge about the body's response to trauma, including why they sweat, shake, struggle to fall asleep and have increased startle reflexes. I train them to feel less stressed by controlling their breathing and muscle tension. I also take a narrative approach, asking them, for example, to tell me a story about the worst thing that has happened to them. I ask how that made them feel and then point out that these stressful symptoms are normal and that they survived the incident. To deliver anxiety relief, you have to get them to understand that they are actually alive, that they have come through. Are there many psychologists performing similar services? No, not at all. Previously people focused more on the soldier role of rangers rather than on their well-being. The need is only now being recognized. There's also still strong stigma in South Africa of seeing a psychologist, especially for men. But now more senior rangers are seeking assistance, so we're chipping away at that wall. I've seen approximately 120 rangers since 2011, and I also speak with family members about their concerns. There are as many as 25,000 rangers throughout Africa. What is next for you and the rangers? I'm developing a culturally sensitive therapeutic strategy specifically for rangers, and I'd like to collate and publish all the information I've found so it's available for anyone who wants to use it. Long term, I would also love to see a special independent unit of psychologists and social workers established for rangers.